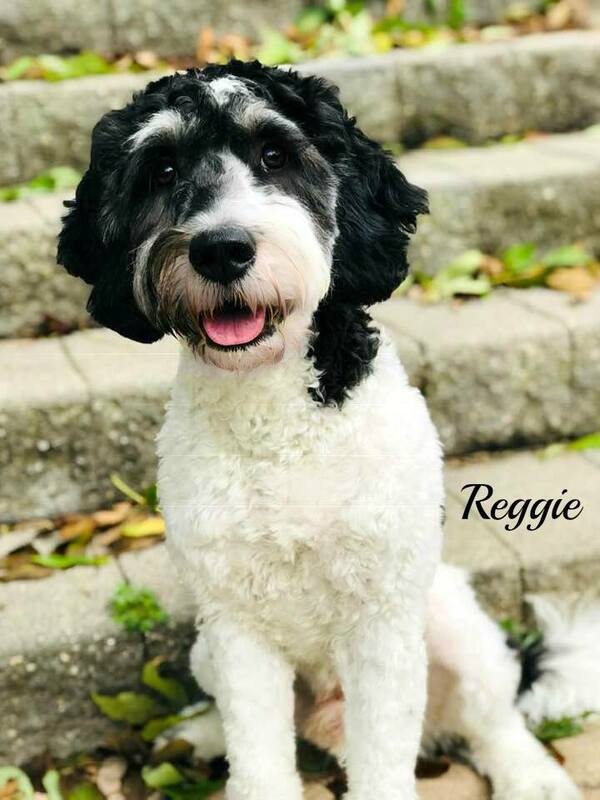 Meet Cedar Lake Doodles “Reggie”. Reggie is an English Mini Tri-colored Goldendoodle. He is phantom and parti, and will give us beautiful puppies. He will also be the father to our future sheepadoodles. BbEE, kyky, atat. He is health tested for hips, elbows, heart, patellas, DM, GR-PRA1, GR-PRA2, Ich, MD, NEwS, prcd-PRA, and vWD1. He is 30lbs and 19 inches high.